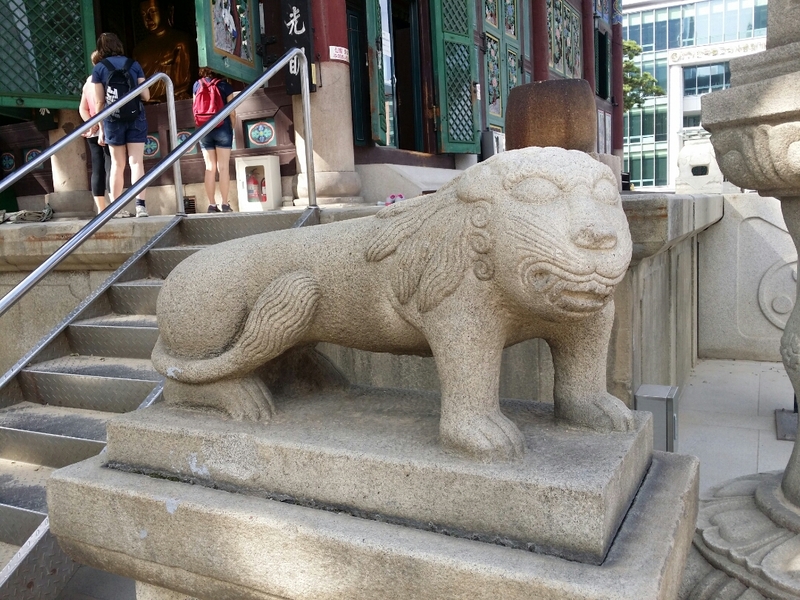 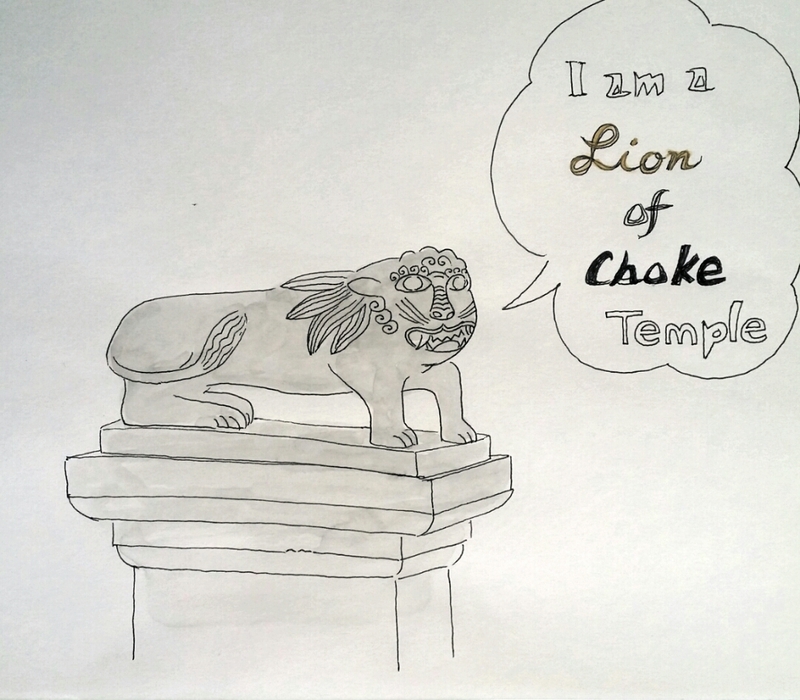 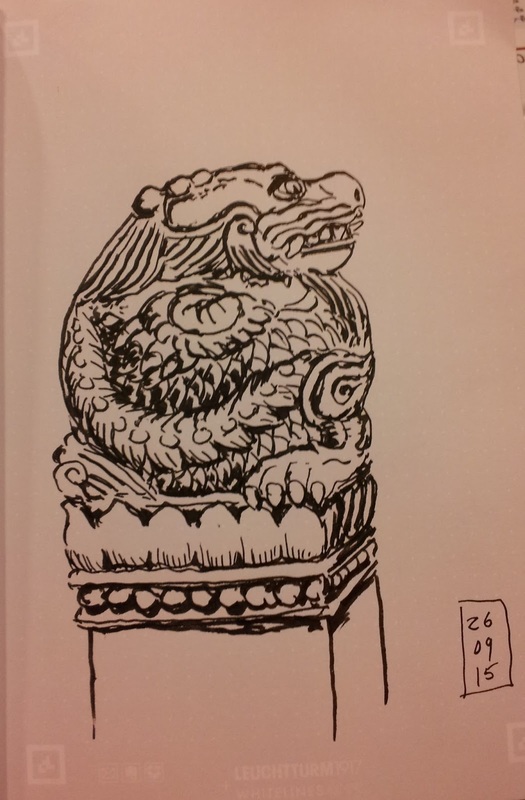 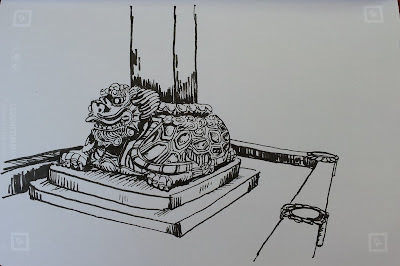 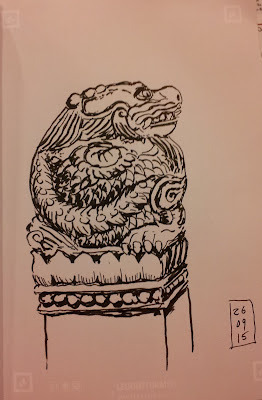 " I am a Stone Lion, protecting the main building of the Temple from evil." 날씨도 좋고 사람도 좋은 날이었습니다. 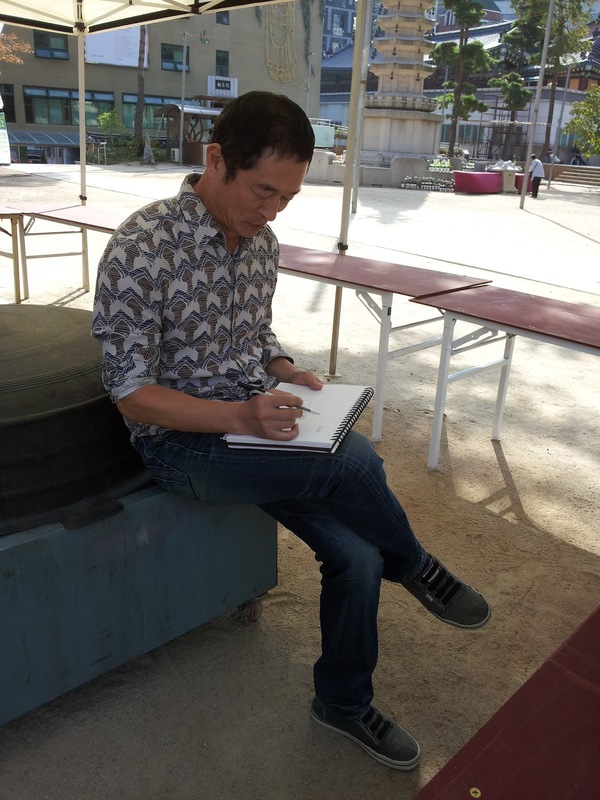 It was a fine day with some breezing. 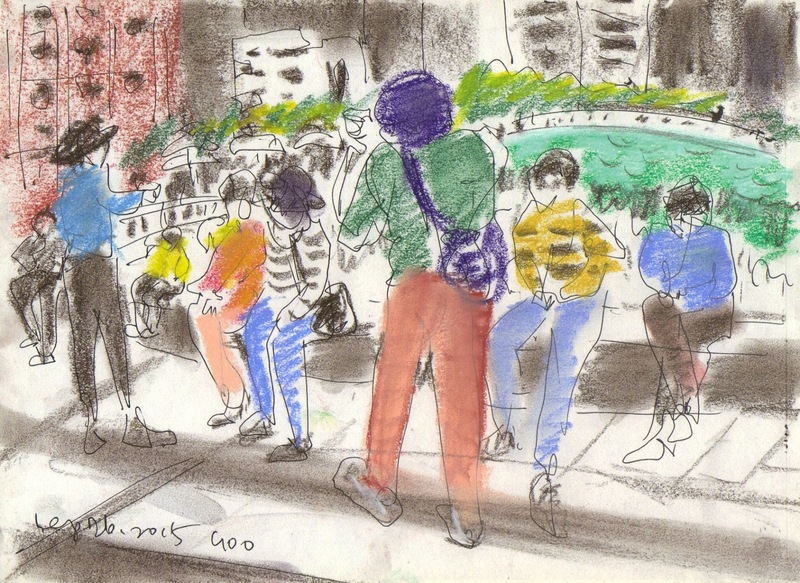 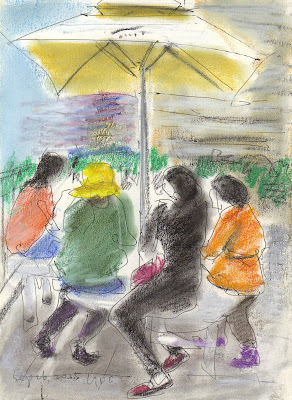 Six sketchers met at the Cheonggyecheon. We greeted each other. As always the long stream was crowded with visitors from inland and overseas. 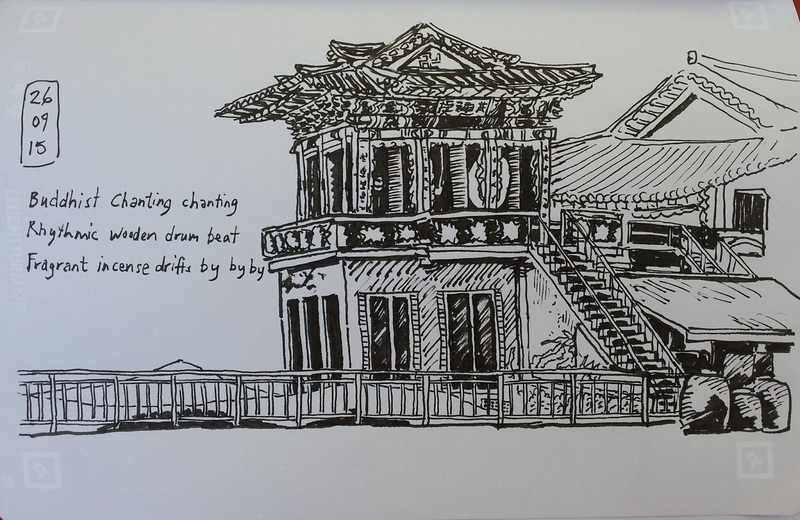 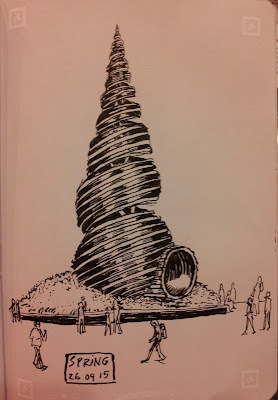 The place may be one of the greatest sketching spots by water, people and high-risen buildings in back ground. 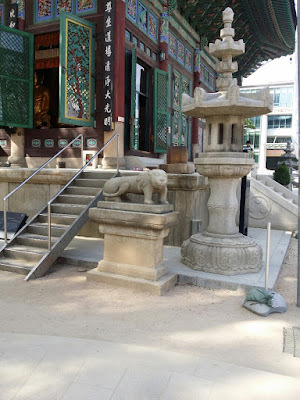 We had lunch at chinese restaurant and moved to Jogyesa located at downtown nearby. 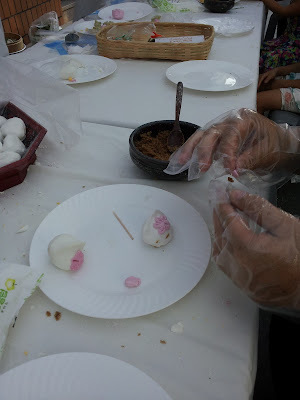 Sharing and enjoying all the works was on 3:30 pm. 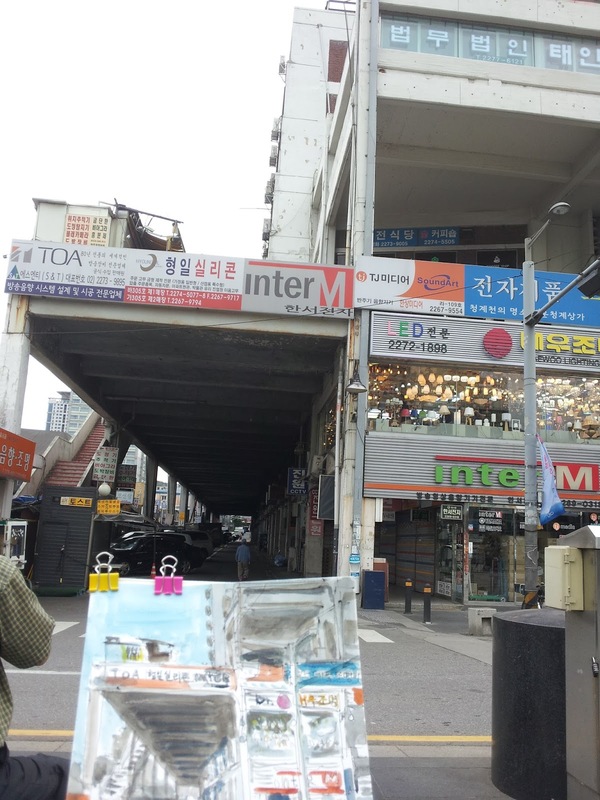 YH Lee and I walked Insa street visiting Insa Art Center appreciating some art works and Nagwon Musical instrument arcade and Unhyeongung together. We had supper at Korean dimsum restaurant and watched Eric's producing event video of Chinese Lantern Festival which will be held in New Zealand. 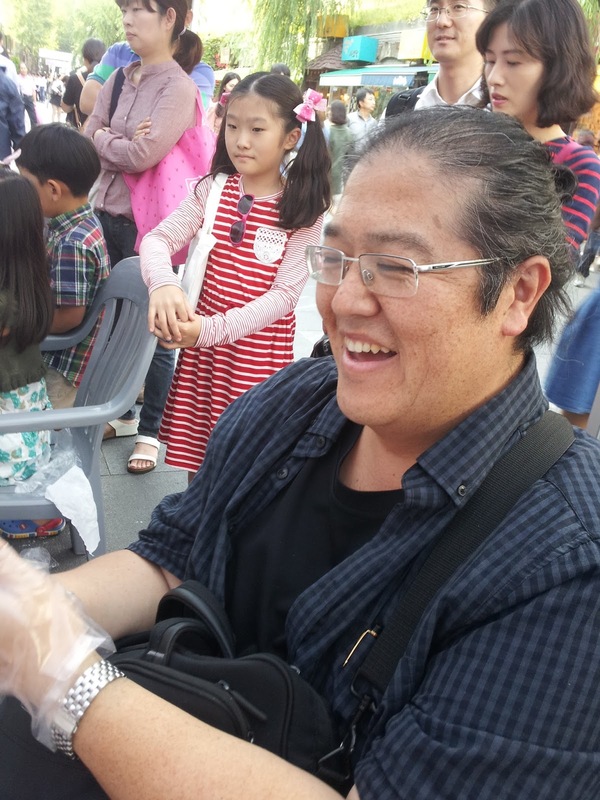 We hoped his events to be successful too. 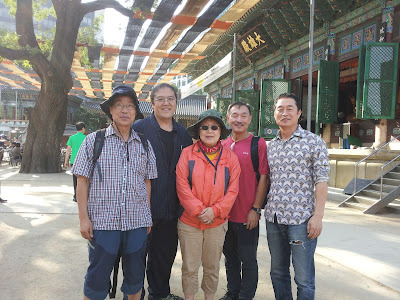 Thanks all the participants : Mona Kwon, Eric Ngan, Chung Hae-kwon, Andy Oh, Lee Yong-hwan, Yoo Byung-hwa. 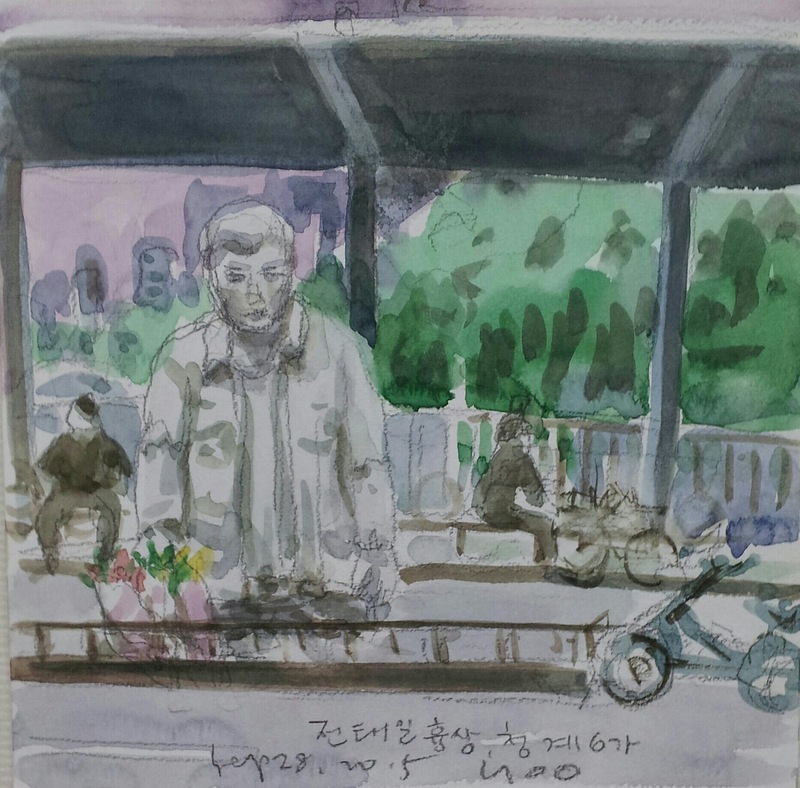 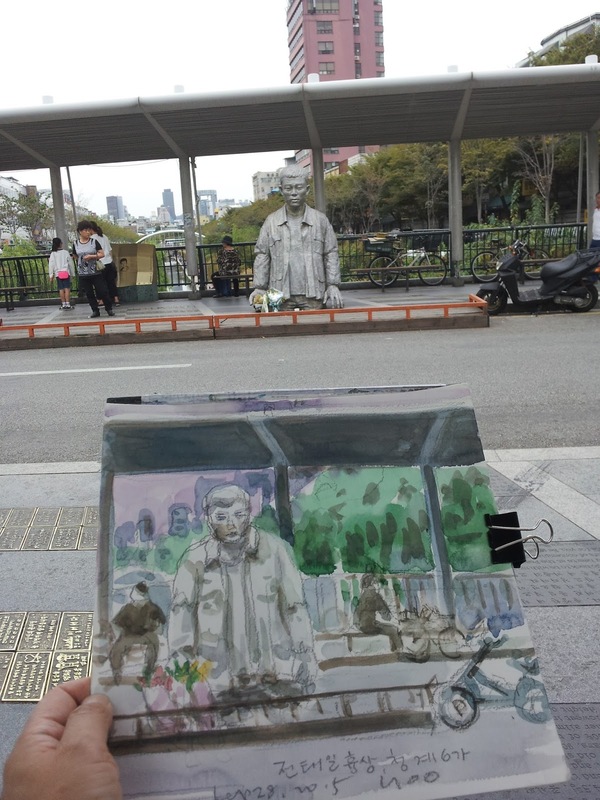 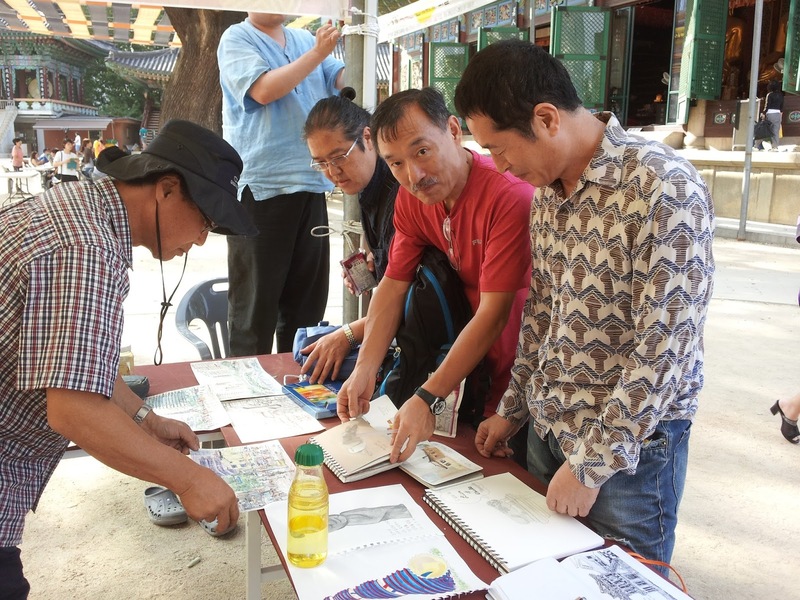 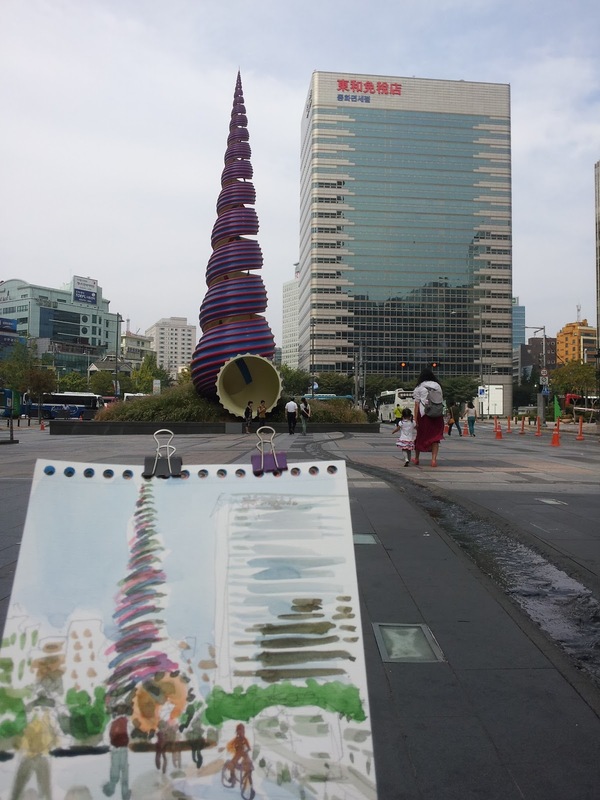 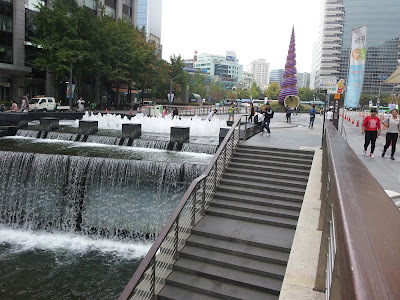 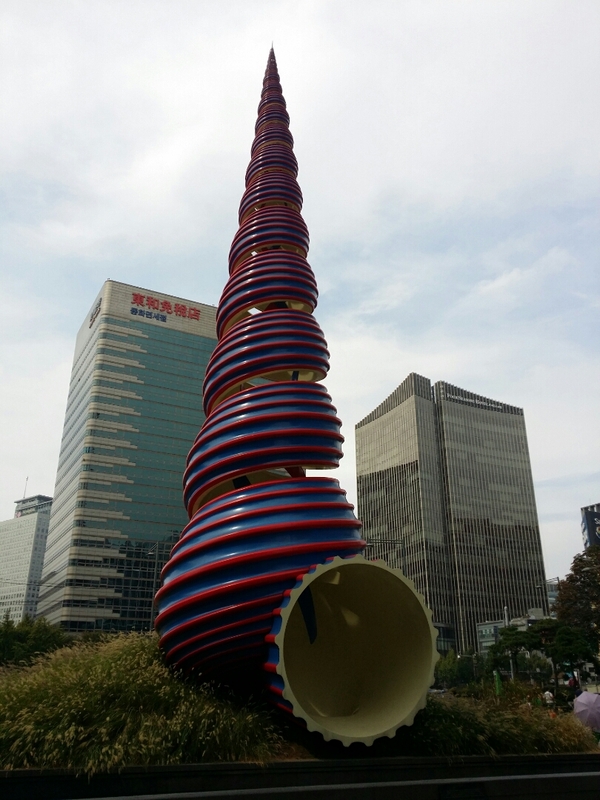 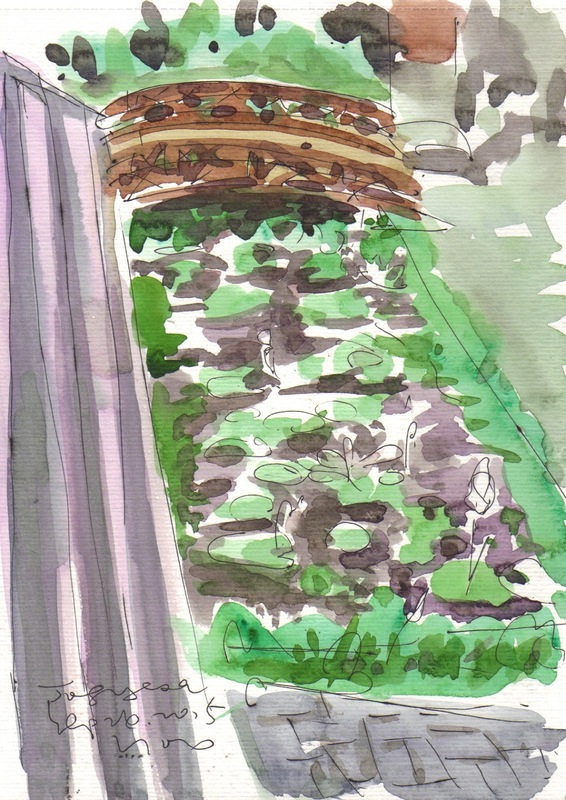 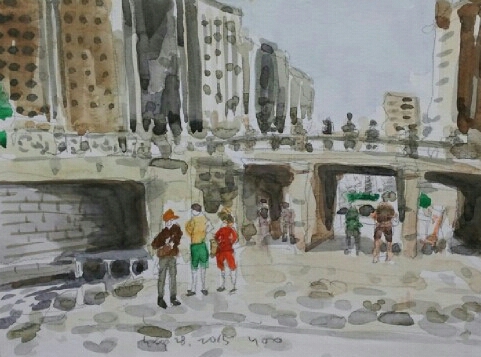 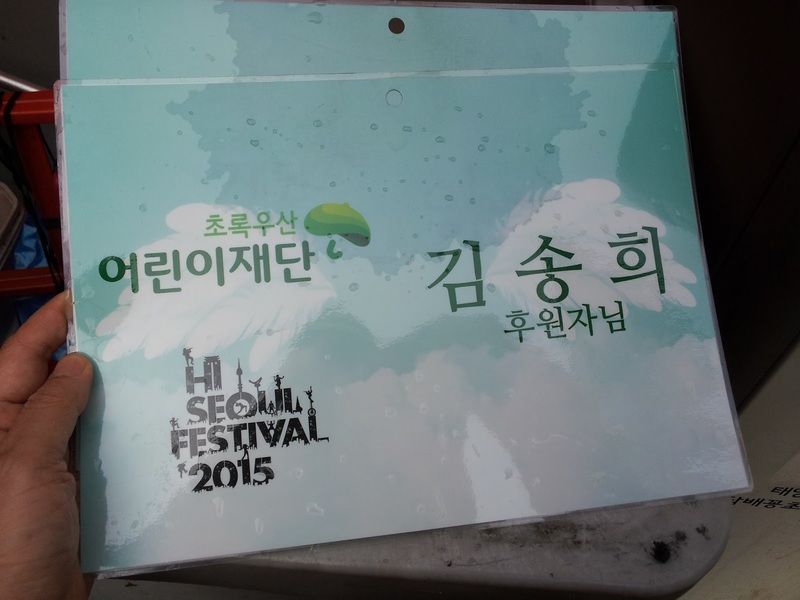 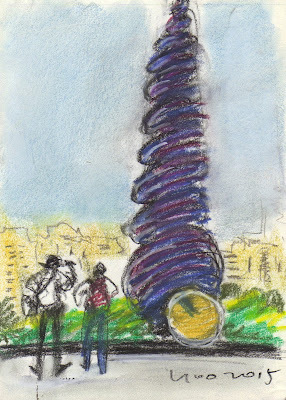 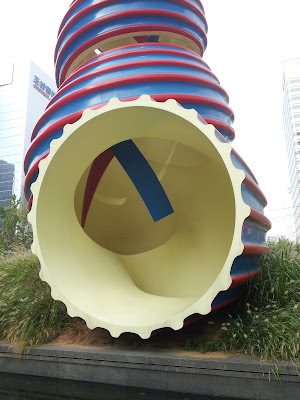 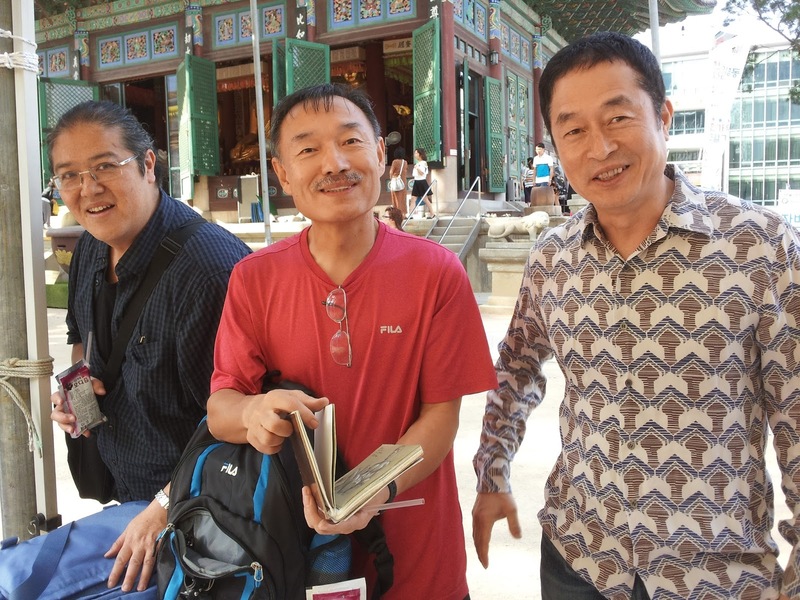 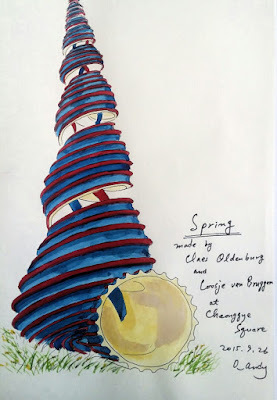 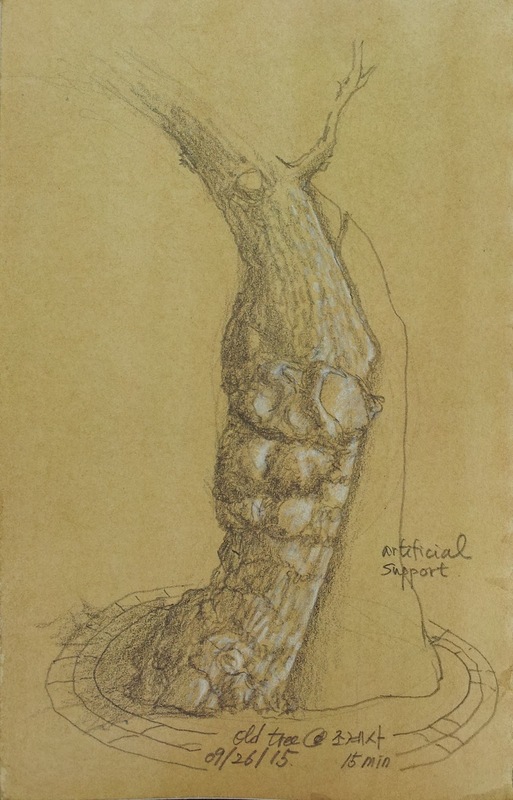 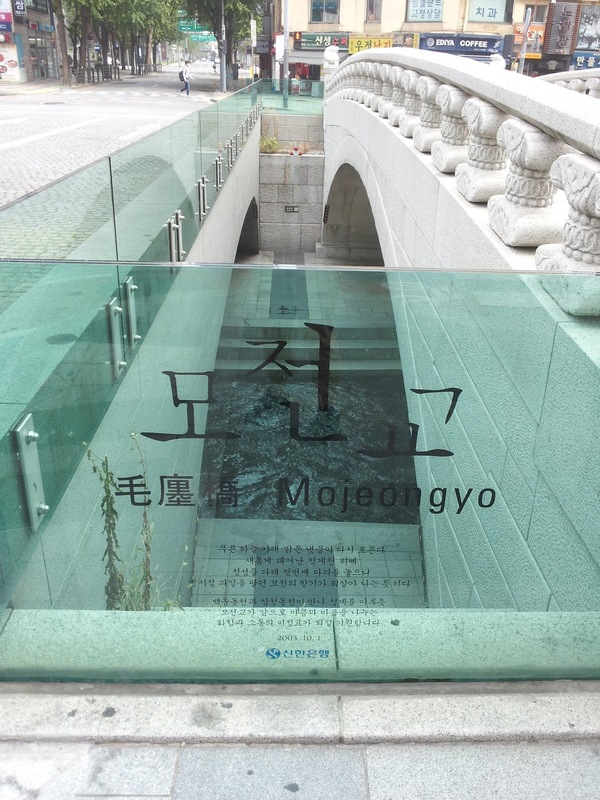 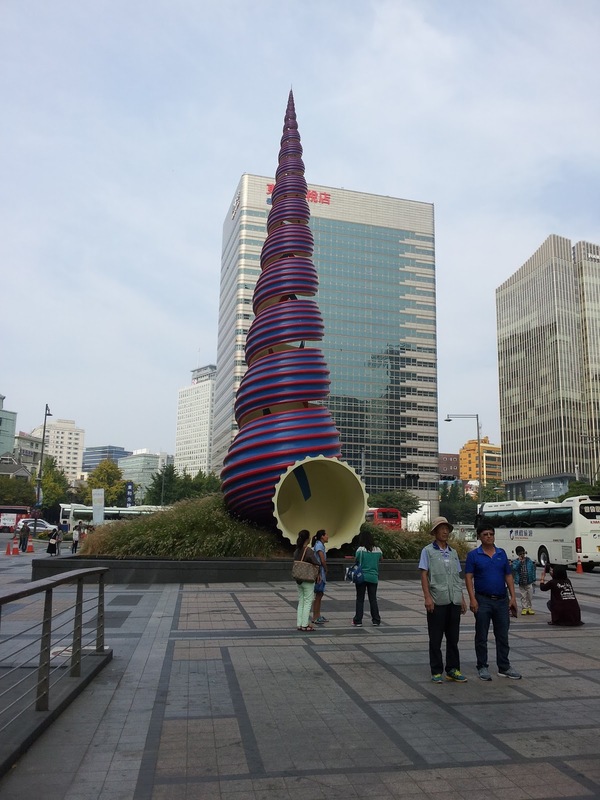 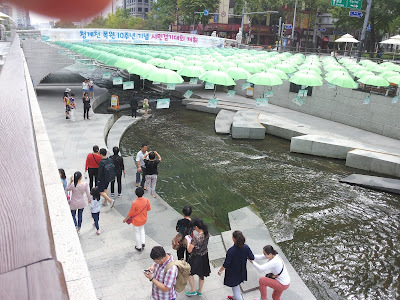 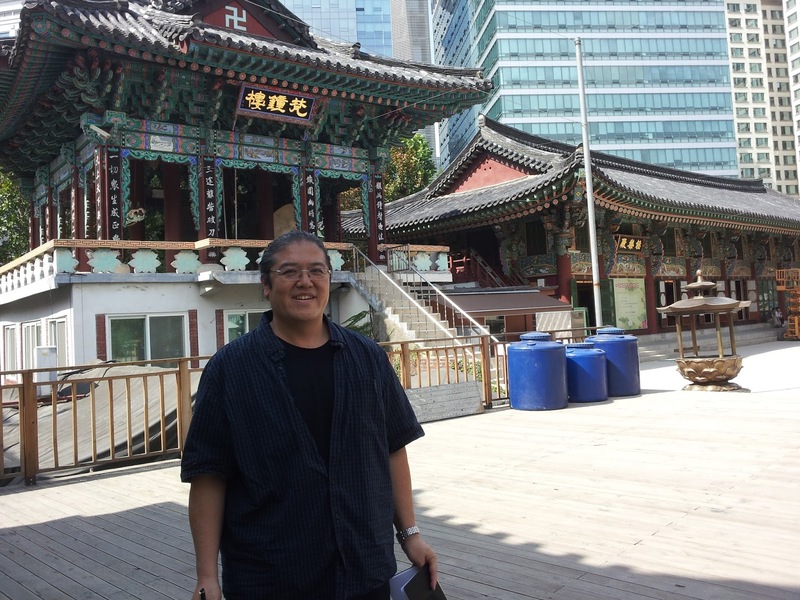 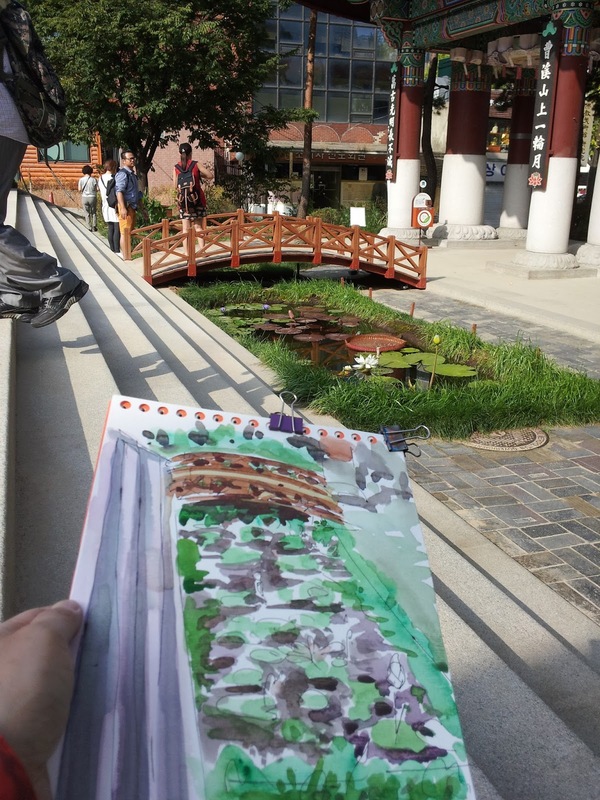 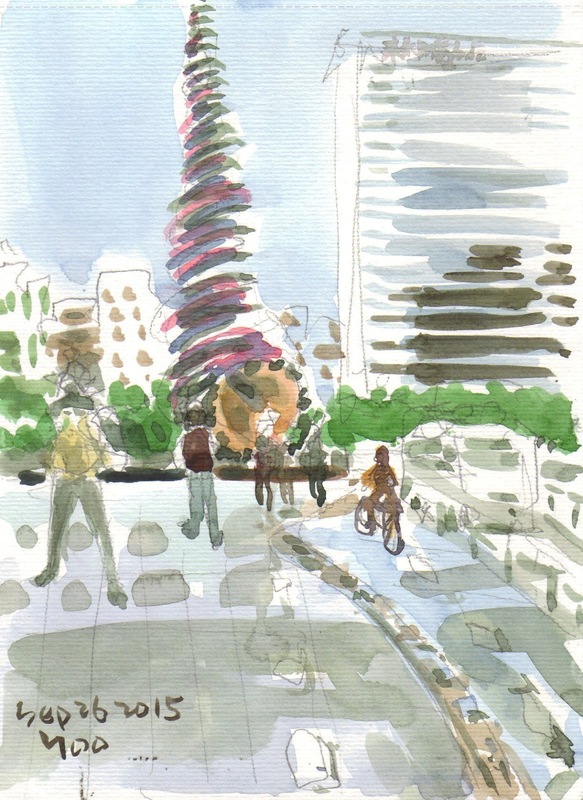 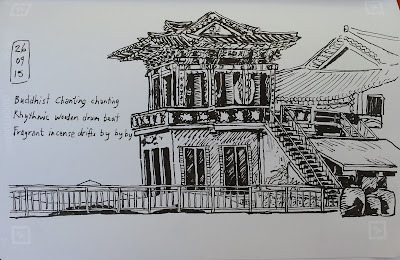 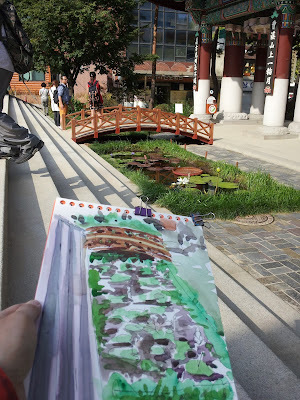 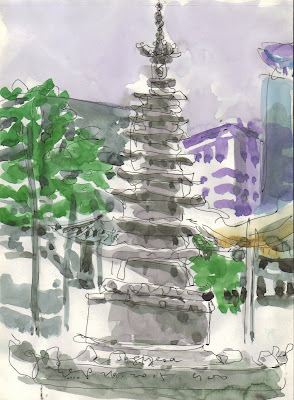 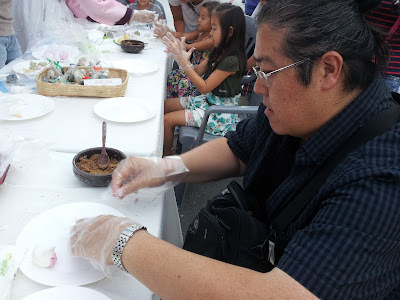 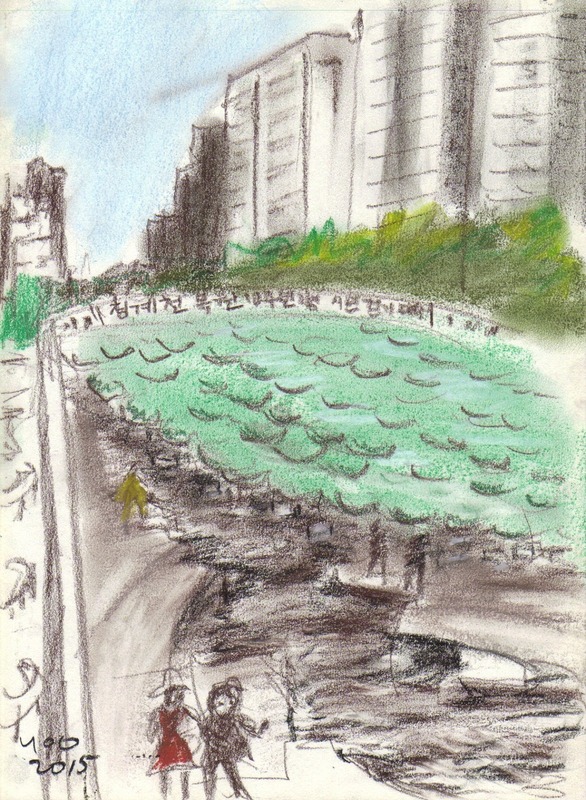 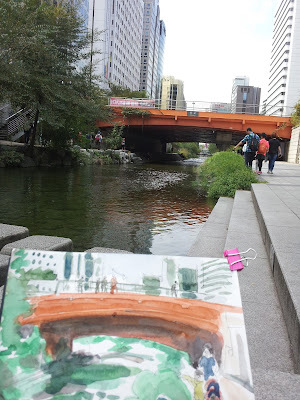 Yesterday, Sept. 28, YH Lee and I visited Cheonggyecheon for more sketching. 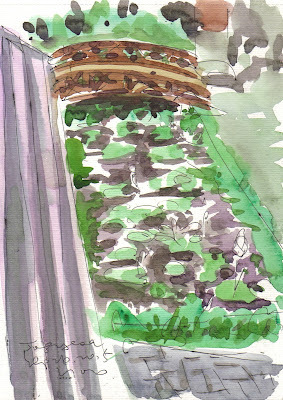 Walking along the streal to the East gate we sketched scenes. 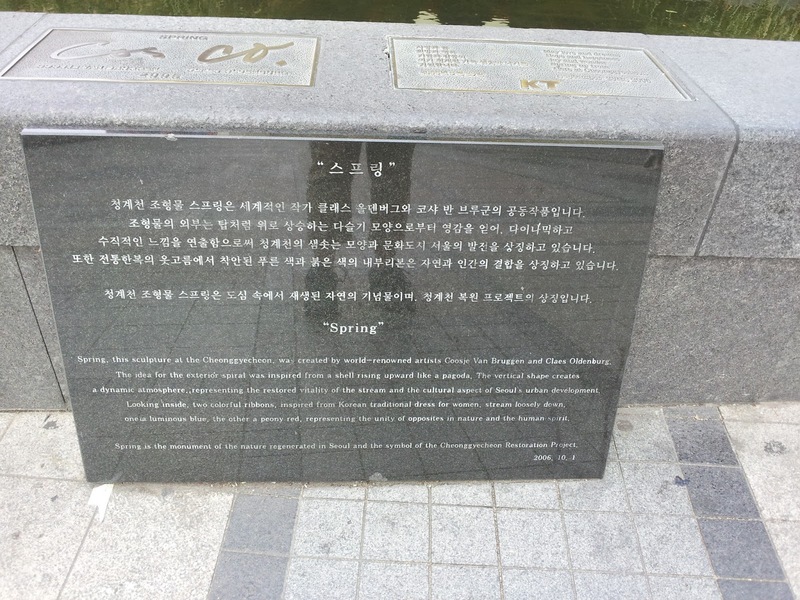 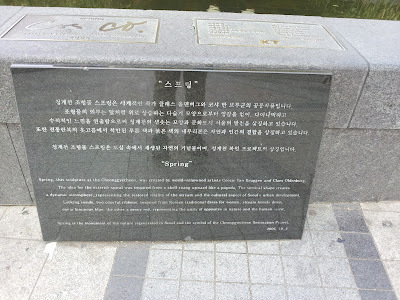 What impressed me was the statue of Jeon Tae-il who burnt himself to death for the laborers' rights. Cheonggyecheon holds endless stories of workers, industries, and devolopment of Korea. His statue made me think about them. 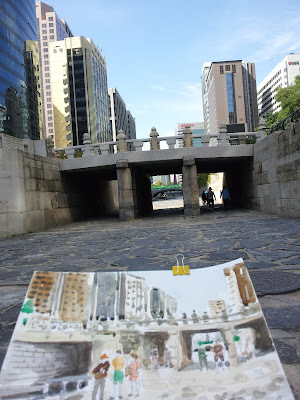 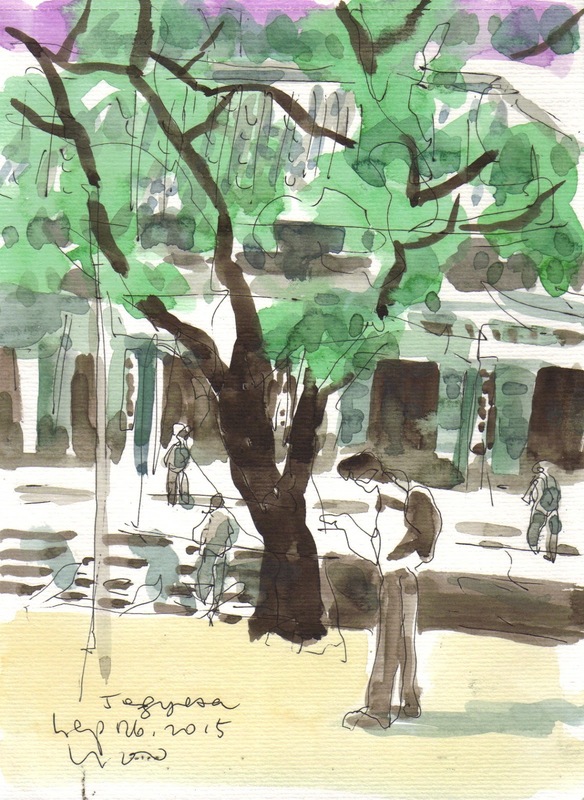 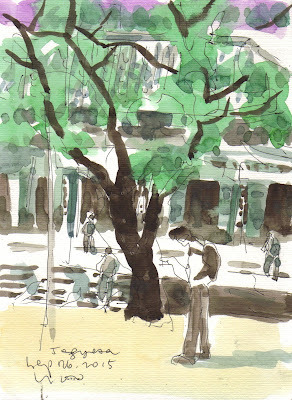 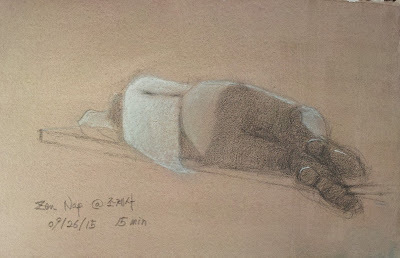 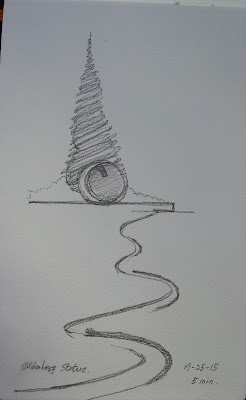 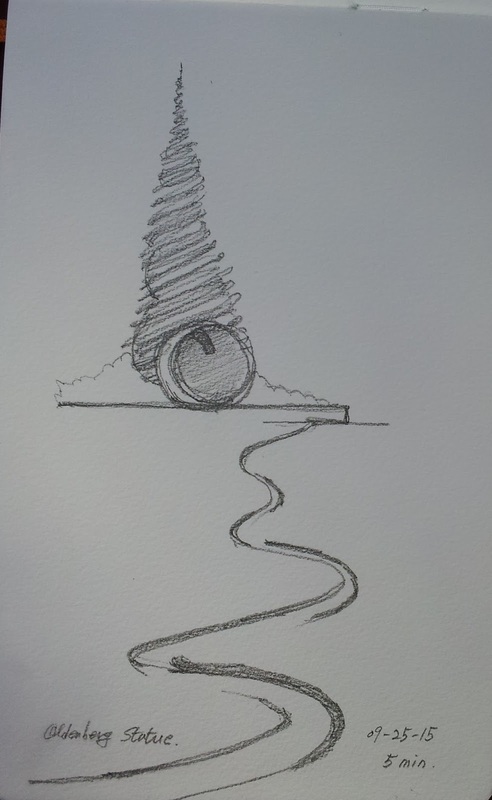 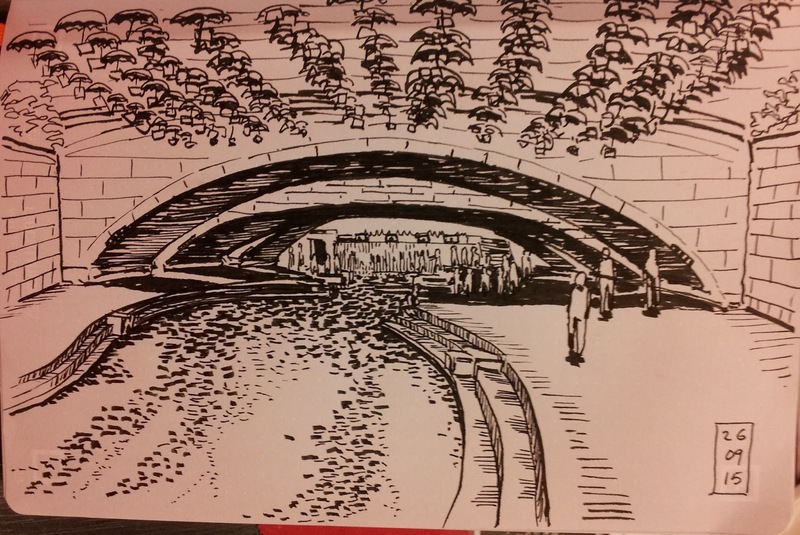 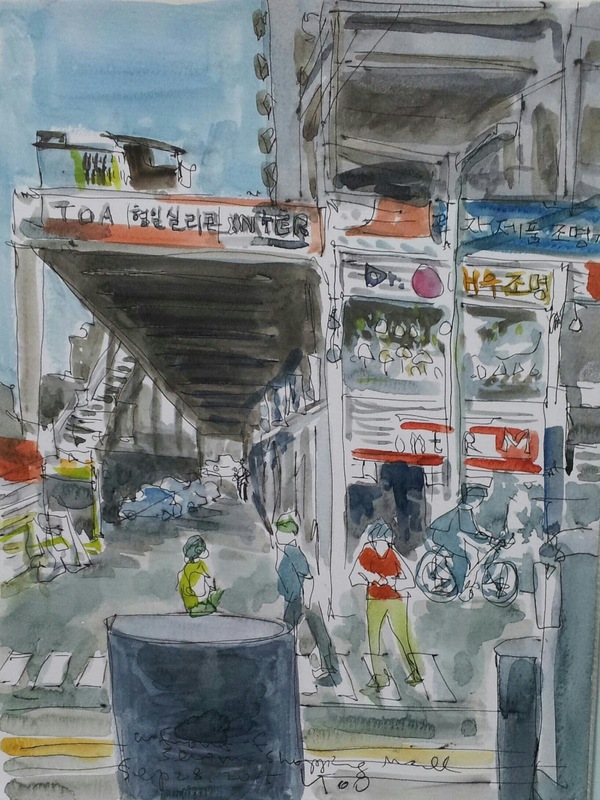 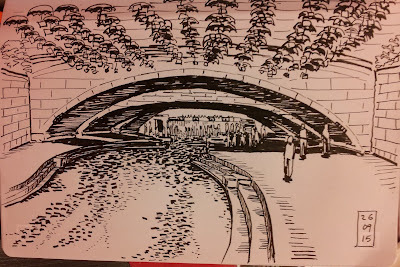 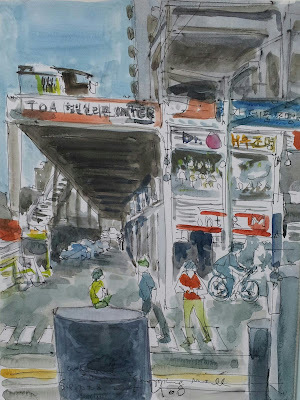 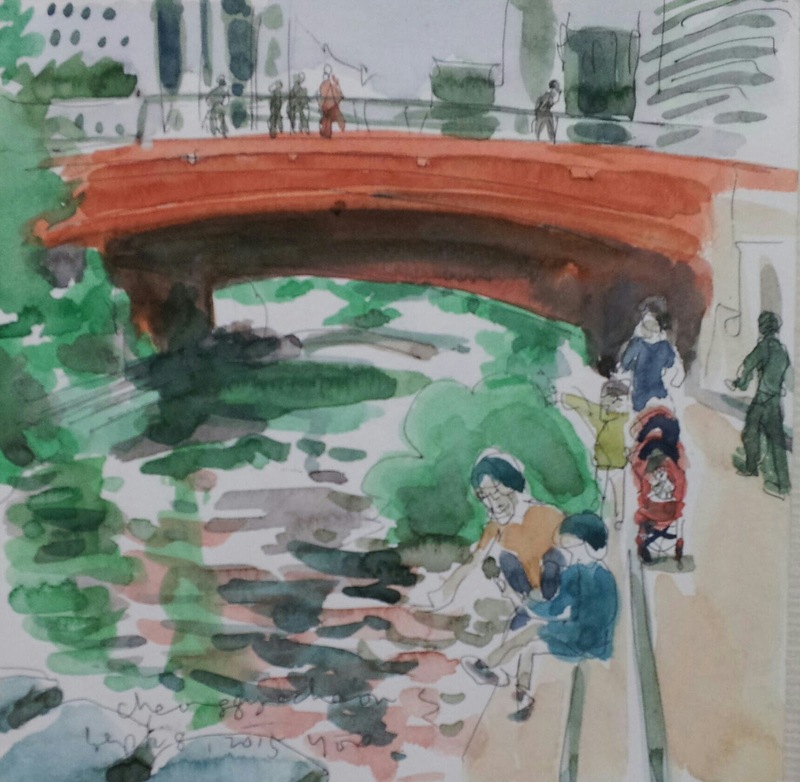 Two days' sketching at Cheonggyecheon was not enough to capture all. 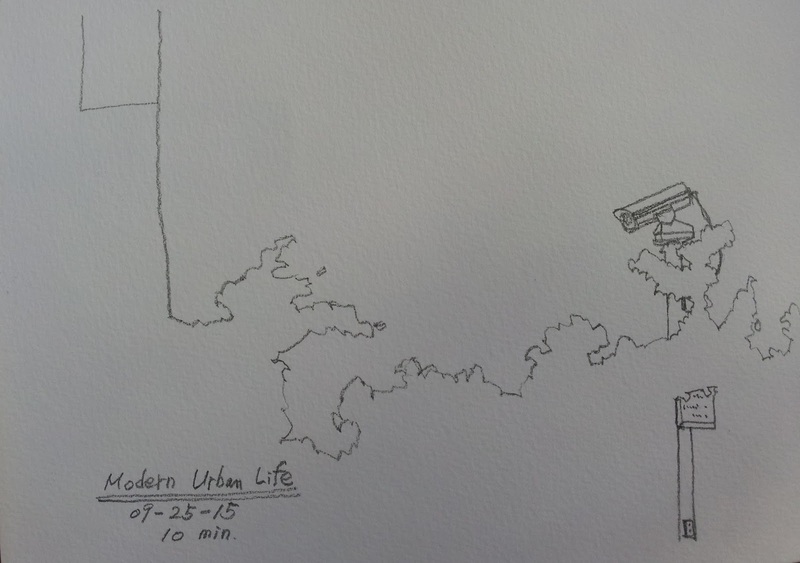 We should keep for better and more. Thanks! 이번 26일의 스케치모임은 자못 국제적인 행사같았어요. 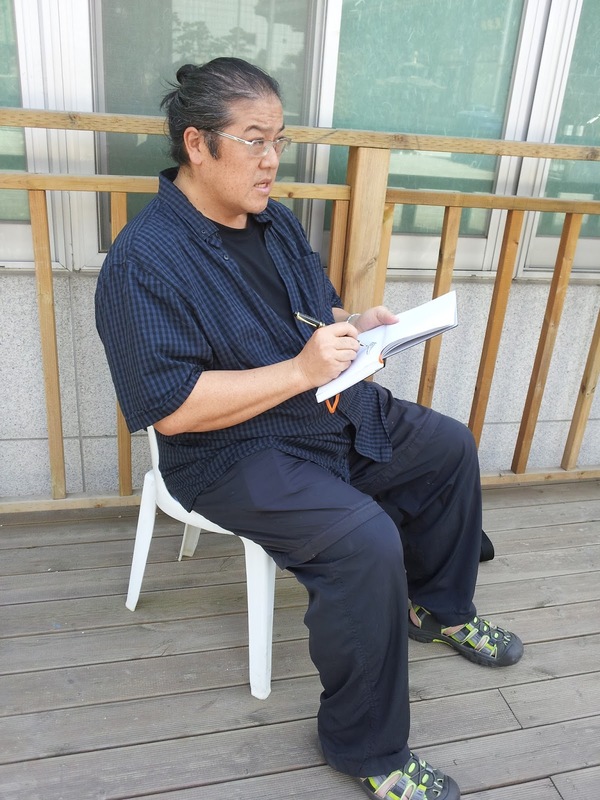 작년에 메세나 볼리스 스케치에 참석하셨던 정해권님이 추석명절에 다시 참석해주셨고, 메일로 참석의사를 보내신 에릭님, 멀리 미국에서 한국의 도서관에서 일하시는 모나 권님도 두번째로 참석하셨어요. 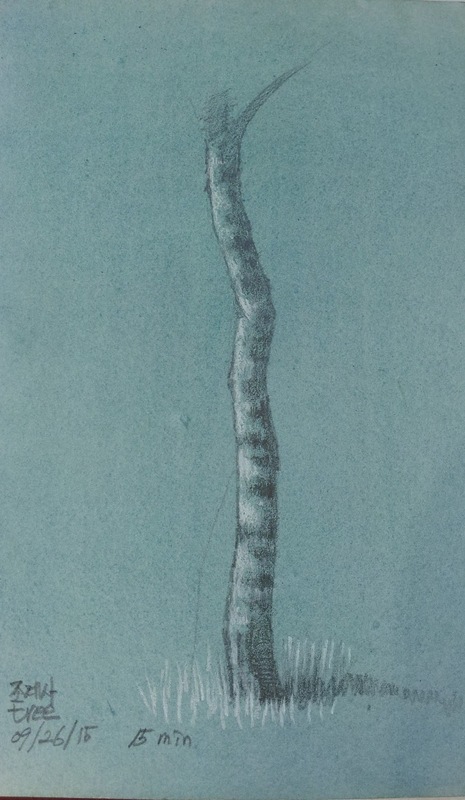 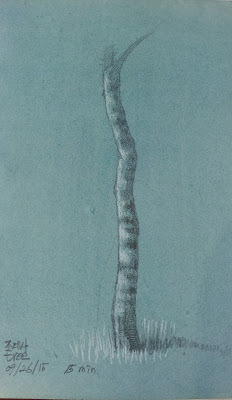 지난번 정동 모임에 이어 두번째로 참석하신 앤디 오님도 반가왔습니다. 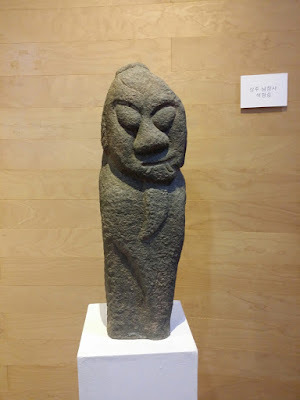 영어 잘하시는 분들로 인해 소통에 아무런 문제가 없어서 편했습니다. 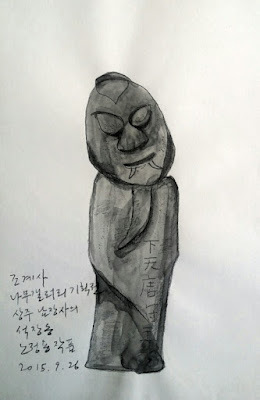 모두들 전부터 알던 분들처럼 익숙하게 스케치하고 모이고 식사하는 편한 분위기여서 더욱 좋았구요. 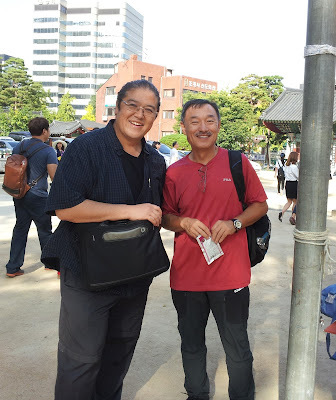 추석전의 바쁜 일정으로 길게 스케치하지 못했으나 에릭님과 인사동 거리를 걸으며 송편만들기 행사도 참여하는 등 관광한국을 알리는 역할 또한 보람있었어요. 맛있는 만두도 먹으며 하루 일정을 마쳤습니다. having dinner at Korean dimsum restaurant "Koong"